MINNEAPOLIS, Minn. -- Philadelphia Eagles coach Doug Pederson is calling on an old friend to help get his team in a Super Bowl state of mind. Pederson confirmed that Hall of Fame quarterback Brett Favre will address the Eagles on Saturday morning at the team hotel, the day before their Super Bowl matchup with the New England Patriots. "I know Brett's going to be here," Pederson said. "He's got some obligations he's going to do this week, and he and I still stay in touch. We're great friends. We were teammates for eight years in Green Bay, and I figured since he was going to be in town, I just asked him." Pederson, who turned 50 on Wednesday, was a member of the 1996 Packers title team that defeated New England in Super Bowl XXXI. He raised some eyebrows this summer by saying this current Eagles team had as much talent -- if not more -- than that Packers squad, which boasted Hall of Famers such as Favre and Reggie White. Turns out Pederson might have been onto something, as the Eagles overcame injuries to several star players to make their run to Super Bowl LII. 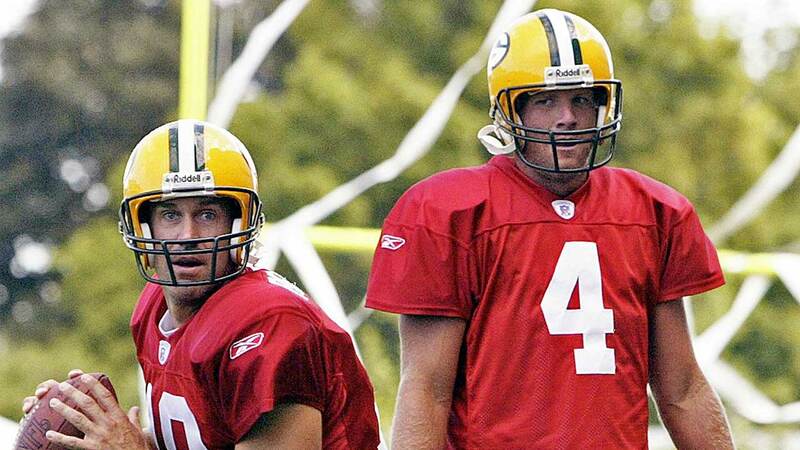 Doug Pederson confirmed Wednesday that Brett Favre, who Pederson played with in Green Bay for eight years, will visit the Eagles on Saturday morning.